'Island’ (Motutere) is a floating social and ecological activation device. 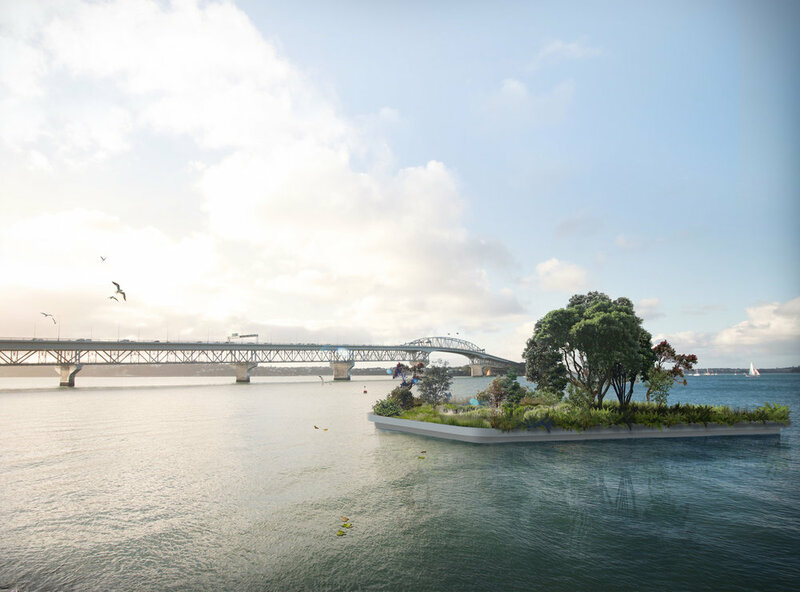 Conceived as a topographical intervention reminiscent of a Hauraki Gulf landscape - it represents a new type of public space for Auckland. A moveable, floating, social and ecological infrastructure that supports swimming, events, performance, occupation and delight. Island is culturally resonant. ‘Motutere’ is a maori word for island. ‘Motu’ means to sever and ‘tere’ means to drift. 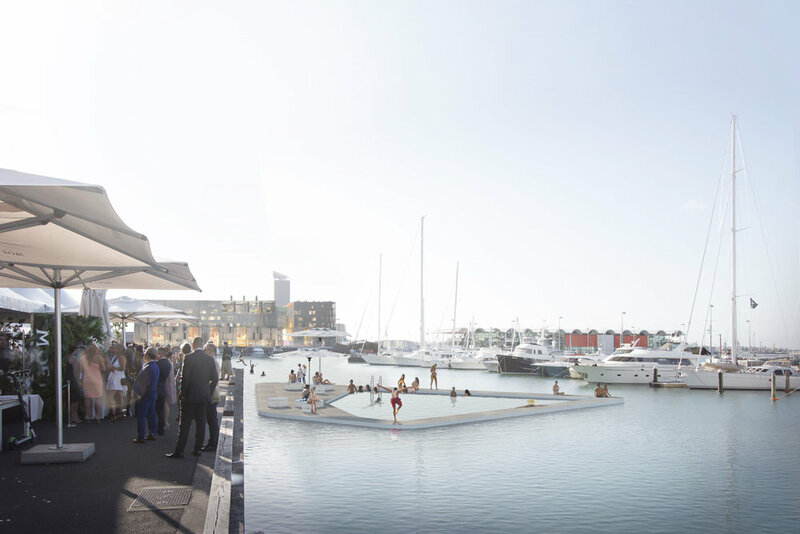 Island will provide a moveable venue for a range of educational, community, entertainment and cultural based events across the urban waterfront. 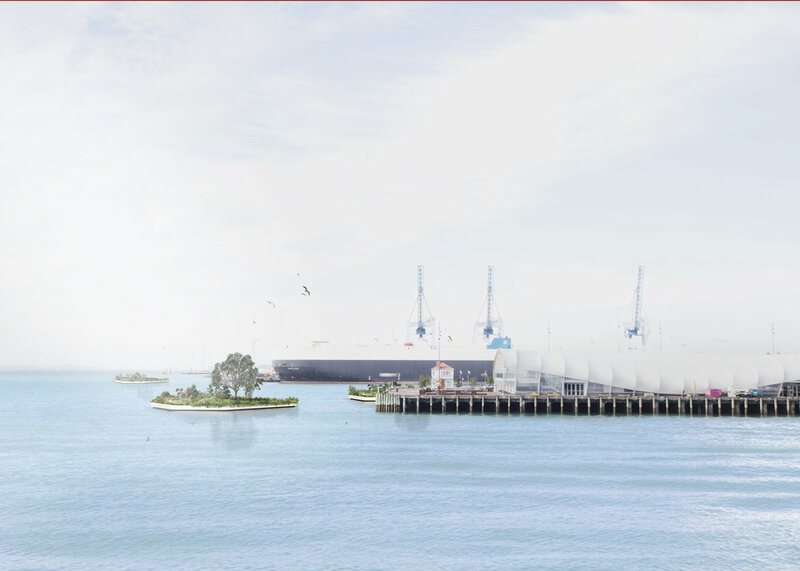 It is experimental and will involve the testing and trialling of new construction methodologies and embrace New Zealand’s traditions of sea faring, boat building, innovation and exploration.Auckland’s landscape consists of a dramatic and sculptural field of geological volcanoes and a flooded harbour system of rhythmical headlands and bays. 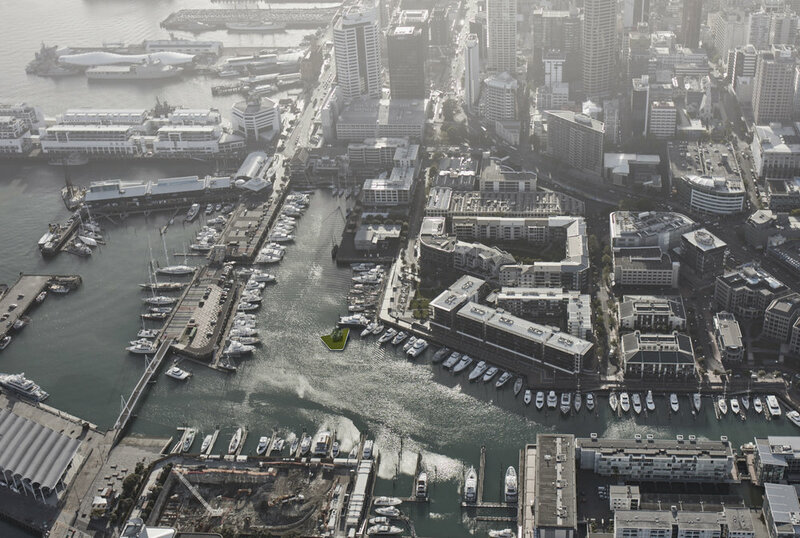 However, the city centre’s waterfront has been highly modified and access to the water’s edge compromised over time. Island establishes a modular and sculptural form juxtaposed against the highly modified and constructed urban water’s edge. It invites re-occupation of the cities blue water spaces. A water based social and ecological strategic activation device that blurs boundaries between ‘land’ (whenua) and ‘sea’ (moana). It is able to be positioned in a variety of water’s edge locations to provide a program of constantly changing experiences. Island is ecologically provocative and a catalyst for a range of ecological enhancements, enhanced water quality and bio-diversity. Its sub-surface marine forest provides new urban waterfront habitats.